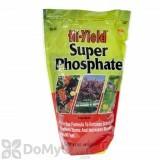 Hi-Yield Super Phosphate 0-18-0 is a cost conscious and effective source of phosphorus for your plants. Hi-Yield Super Phosphate 0-18-0 makes available the phosphorus that is needed for bulbs and plants to grow healthier blooms, roots, and stems. 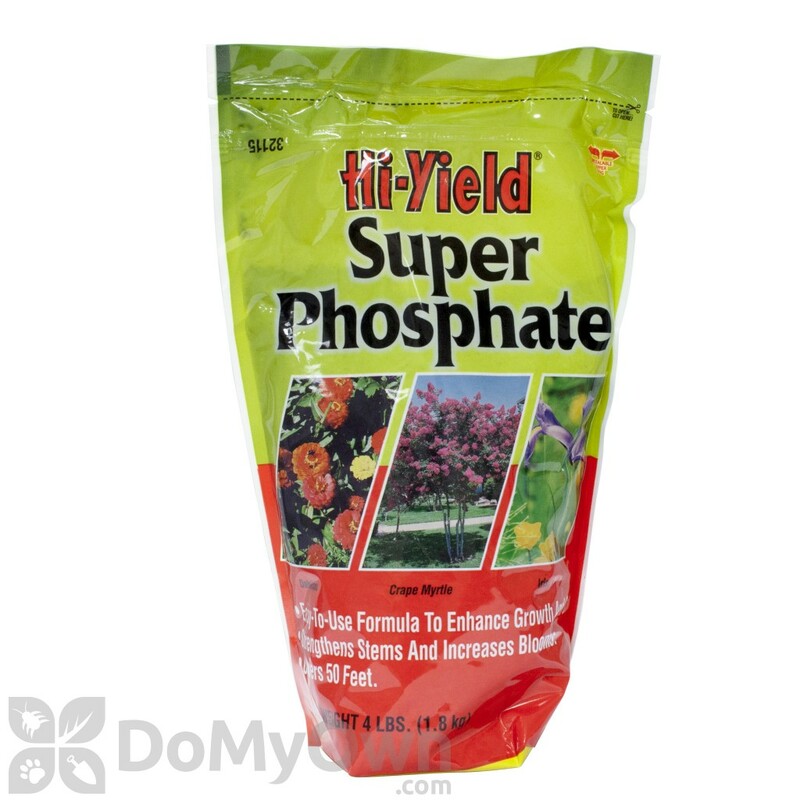 Hi-Yield Super Phosphate 0-18-0 not intended or recommended for container plants. Mix several tablesoonsful with soil when planting bulbs or small plants. For row planting, mix 4 lbs. to each 50 ft. evenly with loose soil in bottom of trench. Iris, Crape Myrtle, Lilacs and Peonies should have an application of HI-YIELD SUPER PHOSPHATE either in January or February to strengthen stems and increase blooms. A light covering on the ground 6 inches away from stems, dug in. Chrysanthemums and Dahlias are heavy feeders. Give them a sprinkling of HI-YIELD SUPER PHOSPHATE dug in lightly, roots are near the surface. Excellent product; arrived quickly, and well packaged. Would highly recommend DoMyOwnPestControl.com. They can be trusted to deliver! Can I spread Hi-Yield Super Phosphate with scott's broadcast edgeguard deluxe spreader? No. This product is made to be used directly in the planting trench for bulbs and small plants and a spreader would likely just fling the granules around. We recommend that contact VPG directly and with your soil analysis they should be able to tell you which product will work best for your needs. You can reach them by calling 888-583-5296. Can Hi-Yield Super Phosphate 0-18-0 be used in potted Hibiscus? Hi-Yield Super Phosphate 0-18-0 should not be applied to container grown plants. Can I also use Hi-Yield Super Phosphate 0-18-0 safely on peony bulbs where I already used fish fertilizer?